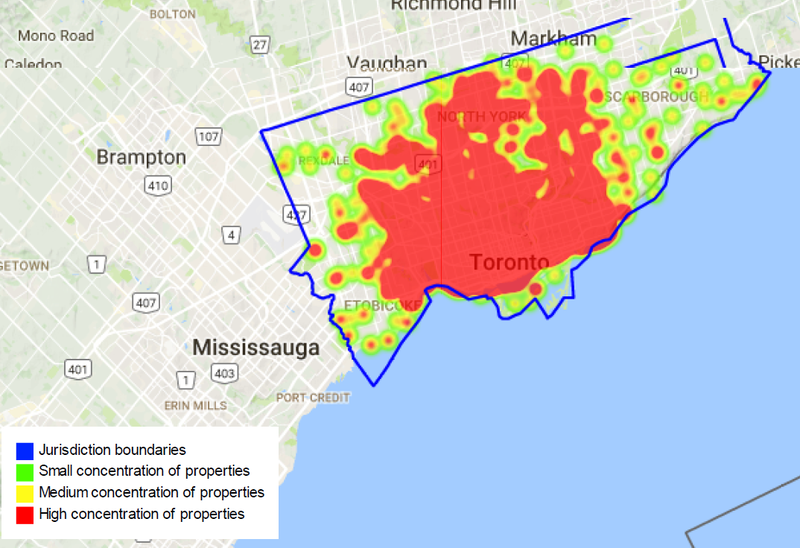 A recent inventory count of Short Term Rentals (STRs) in Toronto has yielded astonishing results. Almost 11,000 STR listings were found, mostly on AirBnB with 9682. This coincides with new condominium inventory that has appeared in 2017. 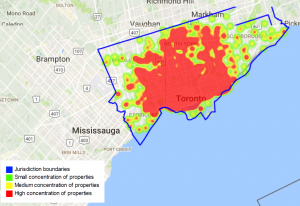 After reviewing the Heat Map below, the most inventory appears between the bounding box of East of Royal York, South of 401, and West of Victoria Park. Over 62% of the listings are Condominiums with many listing 1-bedroom units. The probability of a property management company having to deal with STRs in their building is pretty high. Therefore a plan needs to be in place to identify STRs in their building.